High performance 4-layer waterproof winter riding glove is breathable and features 3M Thinsulate® insulation. 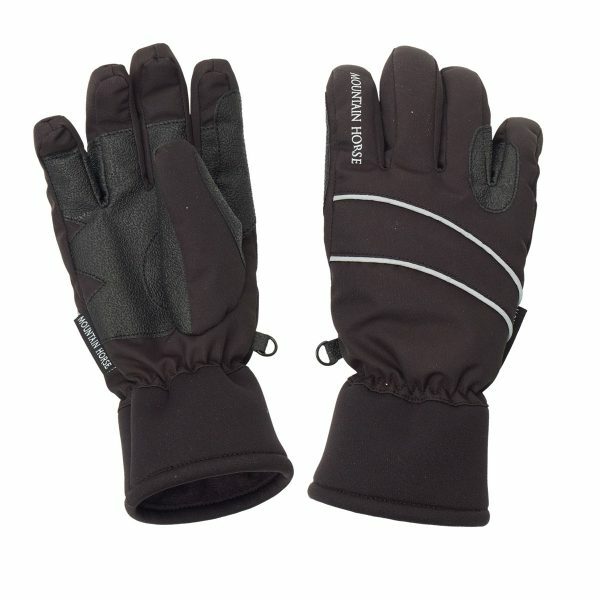 With shaped hand and fingers for good fit, soft moisture-wicking fleece lining, neoprene cuff and riding reinforcements between fingers. Fabric I: 98% Nylon, 2% Spandex. Fabric II and Lining: 100% Polyester.